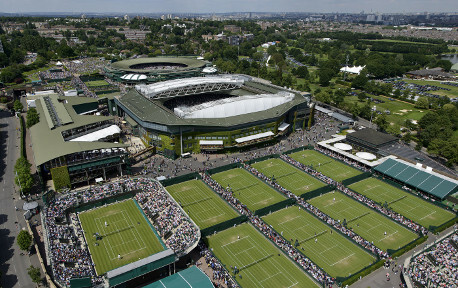 Find out what betting offers bookmakers are running for Wimbledon this year. Both new and existing customers can benefit from the ones in this article. In 2018 Nadal beat Federer in an incredible final at SW19. Ten years on, it’s incredible that both players have remained at the top of their game while new young players have failed to emerge to dominate the game. Also surprising is that these players haven’t faced each other since that epic final. Should they do so, it could become the main story of Wimbledon this year. In the shadow of the World Cup, and with the absence of Andy Murray, Wimbledon may need such a fixture to build buzz. Andy Murray had to pull out to injury and has said he will have to be careful with what tournaments he chooses to participate in, to prolong his career. This is exactly the approach that Federer has had to adopt late in his career, and is a key reason why he starts Wimbledon as the favourite. Federer has forgone the clay season and preserved his body for the grass court season. Nadal comes into Wimbledon on great form but has always been vulnerable on grass. He hasn’t made the final eight for seven years now and has struggled equally against lower seeded players. Losing 8 out of 21 of his previous matches at Wimbledon means that despite an excellent clay season, he is priced as long as 8.00 to win. Priced at 2.50, Federer has an implied probability of 40% of winning Wimbledon. It’s hard to see who will challenge him. The second favourite is Djokovic who has been keen to underplay his chances and has remained very quiet in the build up. He made the final at Queens and has an implied probability of winning of 15.4%. If you’re planning to bet on Wimbledon there are loads of offers and extra value you can take advantage of for both new and existing customers. Double Winnings If Your Player Loses the First Set but Wins the Match (Betway) – For all matches – back a player to win, and if your player loses the first set but wins the match, Betway will double your winnings with a Free Bet up to £25. There is a minimum stake of £25. Get paid out early if your player goes two sets up (Paddy Power) – For all matches, back a player to win and if they go two sets up, Paddy Power will pay you out as a winner straight away. Money Back If Your Player Goes 2 Sets Up but Loses (Unibet) – Back a player to win any match at Wimbledon, and if the player goes two sets up but goes on to lose the match, then Unibet will refund your stake. Get 10% Cashback on Net Losses (Ladbrokes) – Get 10% cash back on net losses up to £100 when you bet on tennis with Ladbrokes. Net losses are calculated on the calendar week. Accumulators – We’ve written an entire article on where the best place to place your tennis accumulators is. You can read it here. Who is the Bookmaker Favourite Men’s Player to Win? Fortunately, Wimbledon is one of the sports which available on terrestrial. Coverage is on a mixture of BBC one and two. You can stream Wimbledon via BBC iPlayer. If you don’t have a TV licence, then some of the betting companies have Wimbledon within their streaming services.